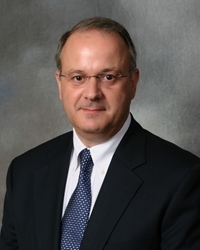 David N. Narciso has over 30 years of experience in the field of personal and corporate tax law and trusts and estates. Mr. Narciso advises individuals and businesses in their tax planning and in the administration of estates. Mr. Narciso also has experience in tax and estate litigation. He is licensed as a Certified Public Accountant in New Jersey. Mr. Narciso served in the United States Marine Corps Reserve from 1974-76. Mr. Narciso served on the New Jersey State Bar Association’s Revised Uniform Limited Partnership Act Revision Committee from 1985-1987. Mr. Narciso is a member of the Bars of New Jersey, New York and the United States District Court for the District of New Jersey, and is admitted to practice before the United States Tax Court. Author: "Some Reflections on Comm'r v. Tufts: Mrs. Crane Shops at Kirby Lumber," Vol. 35, No. 4, Rutgers Law Review, Pgs. 929-981, reprinted in the Monthly Digest of Tax Articles, March, 1985.